I will be participating in this upcoming group show in NYC this April. It’s a quickie but a goodie. 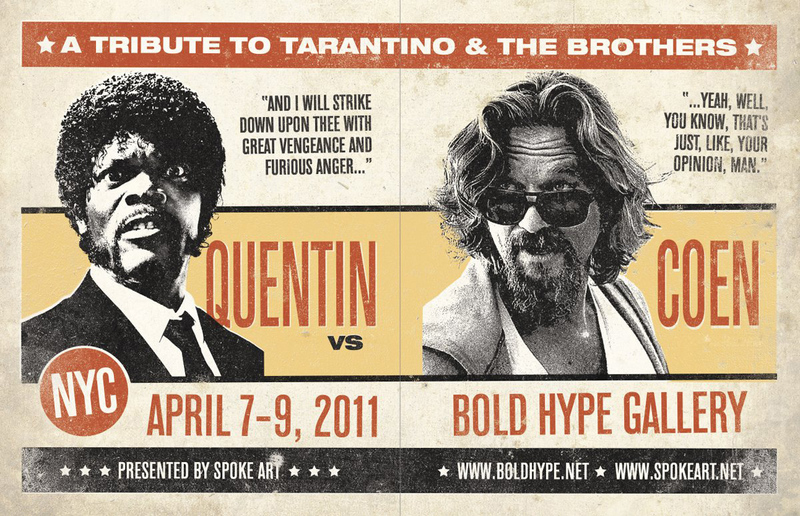 Art inspired by the most fabulous directors, Quentin Tarantino and The Coen Brothers. This show will open on April 7th and close on April 9th (yes, I said it was a quickie). Hmmm, what shall I paint? Perhaps I will post a teaser in a few weeks. Stay tuned. Next postNew Mustang Commission Complete!